The Holler is really a Holler and not only for the birds. It is for low-down, on the ground, critter life as well. 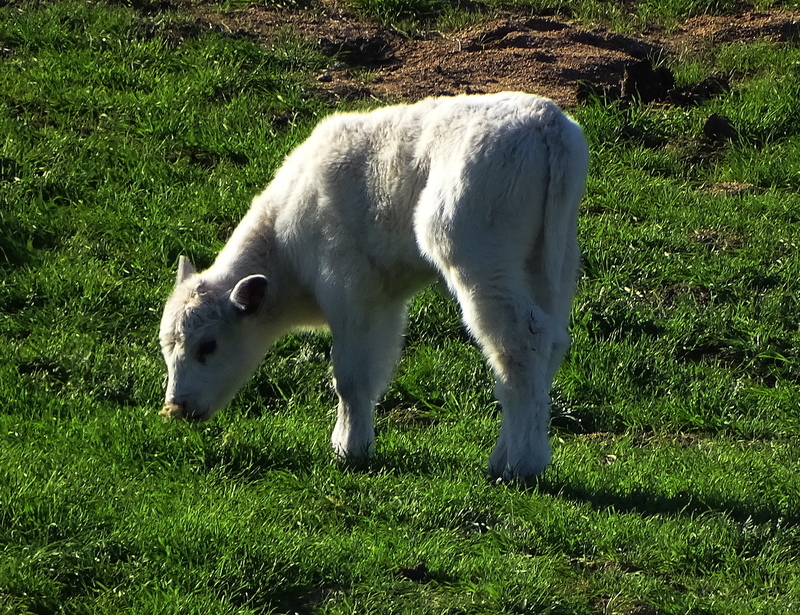 Meet the new, free range calf. And, meet the guys who are overly fond of new free range calves. 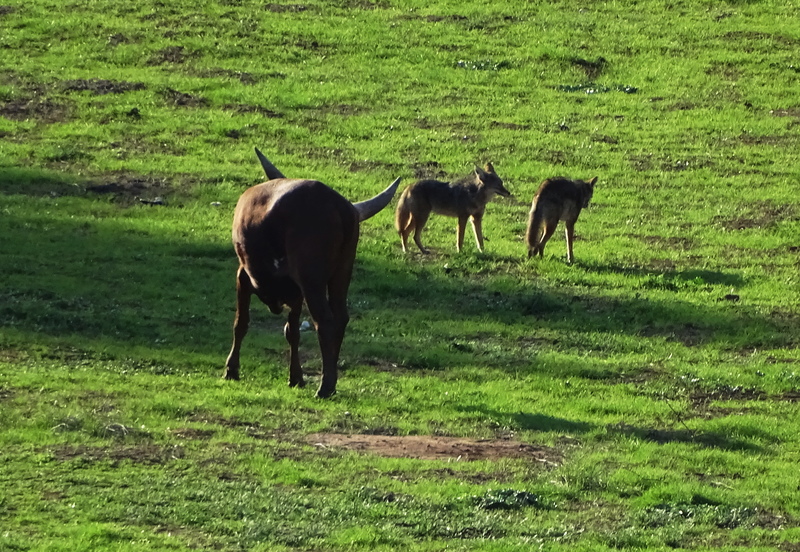 We were quite done with watching the coyotes prey on the defenseless calves, and the cowboy intermittently shoot the coyotes. The cowboy who grazes the free range cattle on the 1200 acre state-owned nature preserve that abuts The Holler, finally came up with a creative solution. You know I value creativity. It is why I love bloggers so much! Anyhoo, meet the new juvenile Ankole-Watusi bull. Imagine how big he is gonna be when he is all “growed” up! These are African free range cattle that grow horns up to eight feet from tip to tip. At night, in Africa, when predators are active, the Ankole adults place the calves in the center, while the adults, and their eight foot horns defend the perimeter through intimidation. They are highly protective of calves and able to repel African predators. 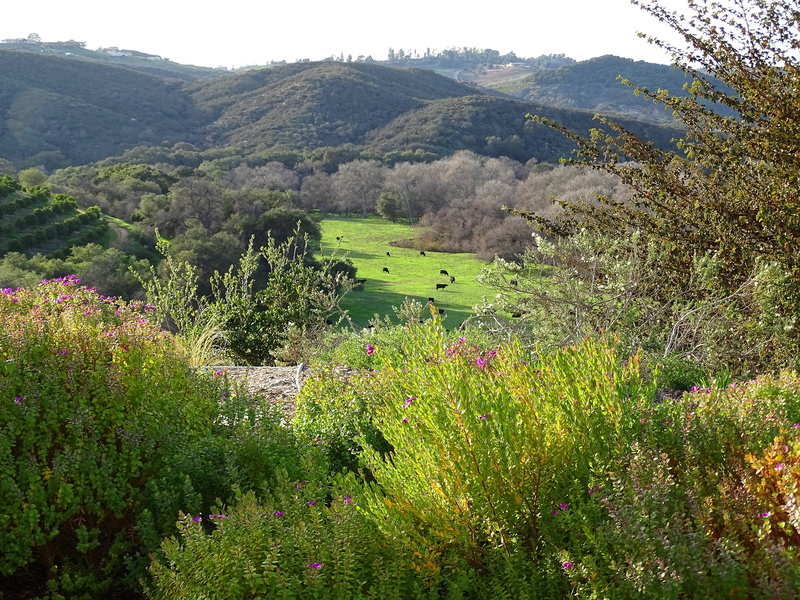 These cattle can subsist in drought conditions with low water and feed. They are currently interbred in Europe and North America and, and news to me, The Holler. 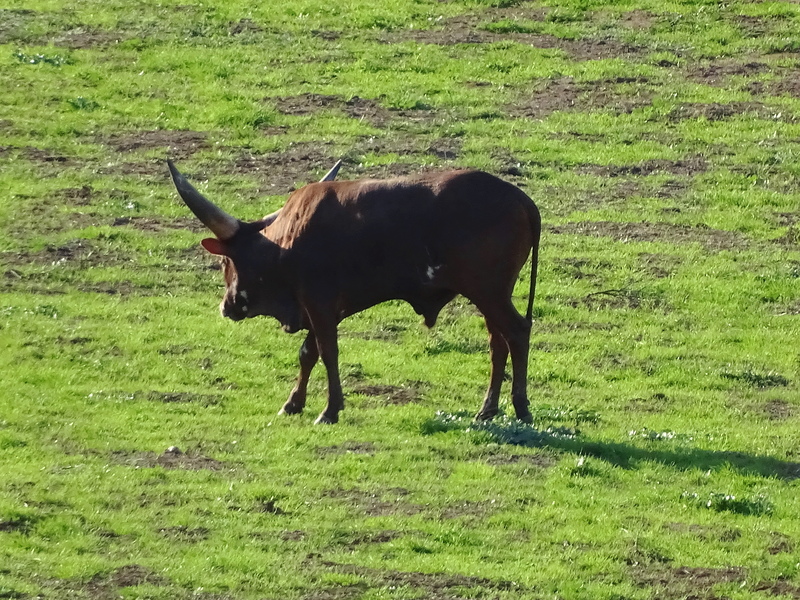 I had no idea of the Ankole solution until my telephoto saw them, and I sent it straight from my camera, to your eyes! I am grateful to my camera because Ankole can be quite aggressive towards humans. If my camera hadn’t alerted me to their presence, I would still be hiking in the preserve, not expecting an ambush by potentially aggressive African bulls! 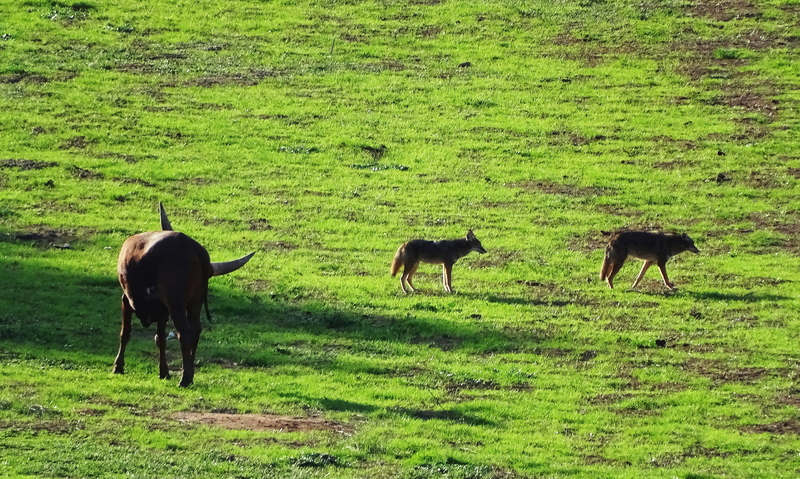 The coyotes are now in a state of détente. 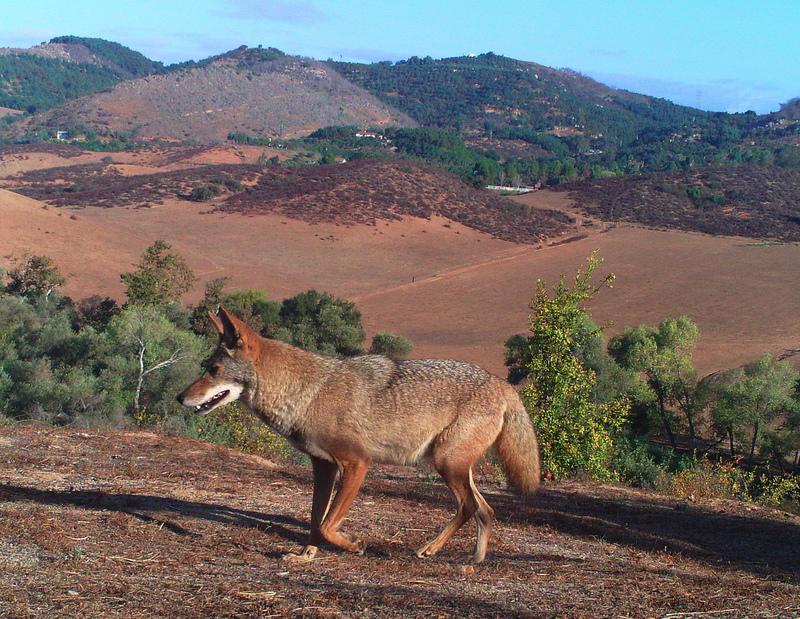 When the Ankoles lower their horns in the coyotes direction, off the coyotes trot. 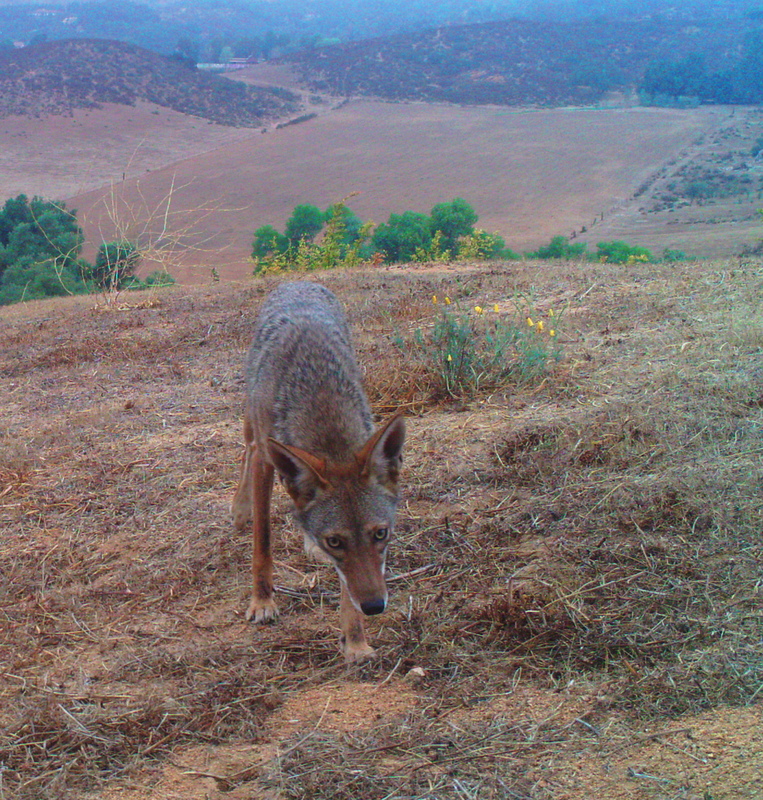 Coyotes regulate their estrus and birth cycles in accordance with environmental conditions. They are intelligent and adaptable. 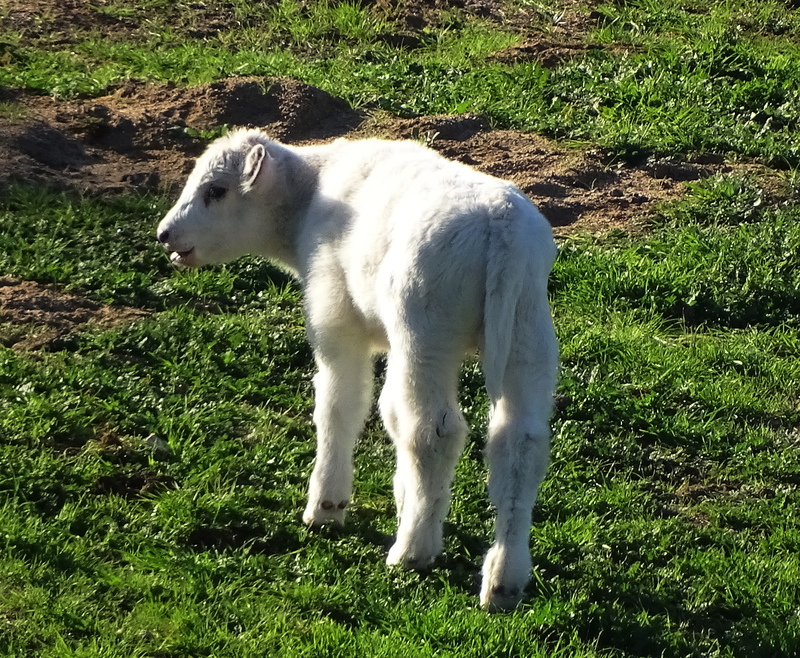 As they are able to kill less calves, they will limit their birth rates, and subsist on rodents. 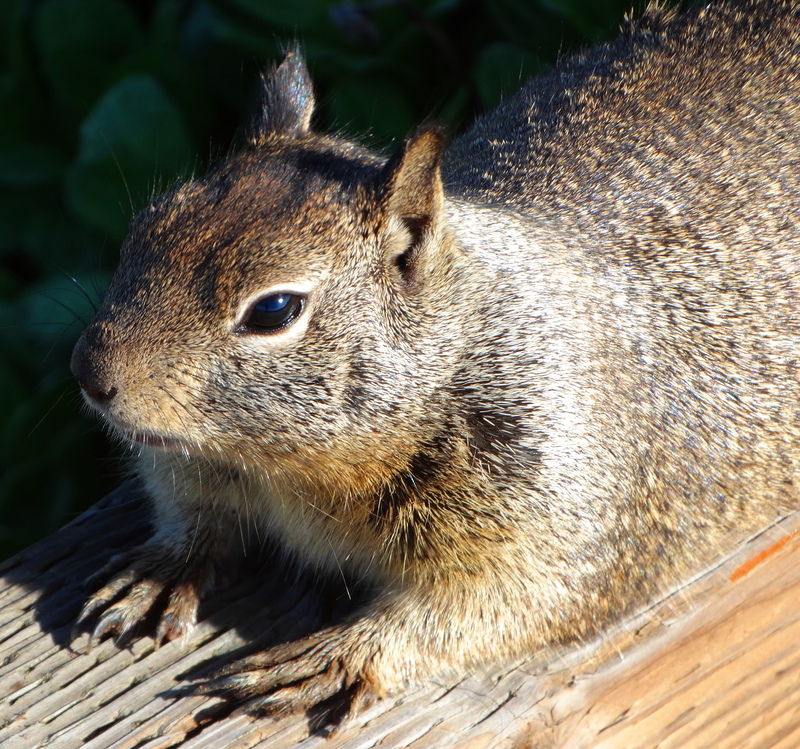 Of course the poor squirrels have no say in this matter, but at least they can run fast into their extensive burrows.